I have played piano since a very young age. I grew up taking lessons on a real piano, so never really did like the feel of a semi-weighted keyboard. But, when looking for a MIDI controller, I not only wanted fully-weighted keys, but a full control surface as well. 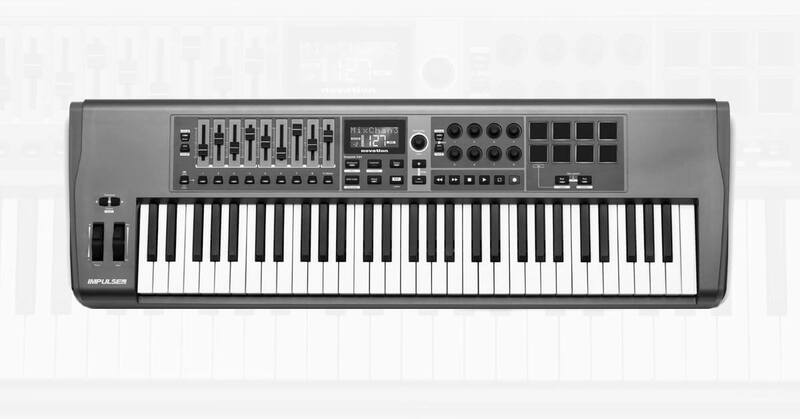 Unfortunately, I was unable to find the full package in my price range, so I decided to go with the Novation Impulse 61. Although the keys are semi-weighted, they still have a good feel. Don’t get me wrong, I still prefer fully-weighted keys, but the trade off is worth it. The Impulse 61 is easy to cart around and works great with MainStage and Reason. The drum pads and other control surfaces are nice to have as well.